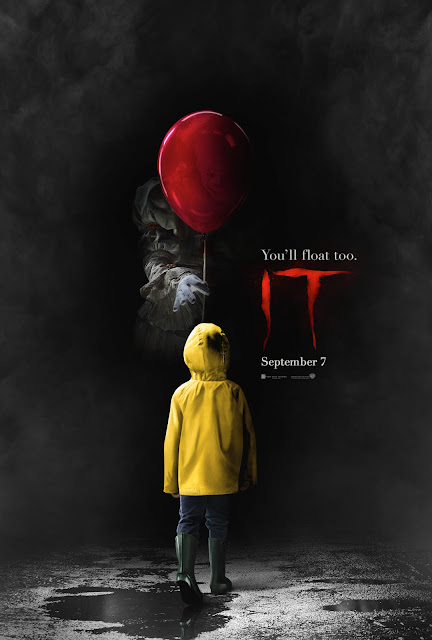 New Line Cinema has unleashed the official movie teaser trailer of the 2017 horror thriller remake of “IT,” based on the hugely popular Stephen King novel of the same name, which has been terrifying readers for decades. The previous movie adaptation of the novel was made in 1990. The movie "IT" is a story of a urban legend evil clown whose said to kill children. Directed by Andrés Muschietti (“Mama”), “IT” stars Bill Skarsgård (“Allegiant,” TV’s “Hemlock Grove”) as the story’s central villain, Pennywise. An ensemble of young actors also star in the film, including Jaeden Lieberher (“Midnight Special”), Jeremy Ray Taylor (“Alvin and the Chipmunks: The Road Chip”), Sophia Lillis (“37”), Finn Wolfhard (TV’s “Stranger Things”), Wyatt Oleff (“Guardians of the Galaxy”), Chosen Jacobs (upcoming “Cops and Robbers”), Jack Dylan Grazer (“Tales of Halloween”) and Nicholas Hamilton (“Captain Fantastic”). Muschietti is directing “IT” from a screenplay adapted by Chase Palmer and Cary Fukunaga and Gary Dauberman. Dan Lin, Roy Lee, Seth Grahame-Smith, David Katzenberg and Barbara Muschietti are producing, with Marty P. Ewing, Doug Davison and Jon Silk serving as executive producers. A presentation of New Line Cinema, “IT” will be released worldwide by Warner Bros. Pictures, a Warner Entertainment Company on September 7, 2017. Below is the movie trailer teaser for "IT".